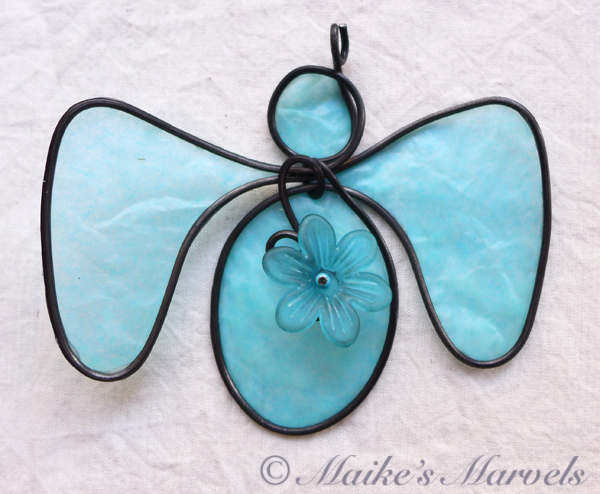 I found these resin flowers at a bead show and couldn’t resist putting one on an angel. 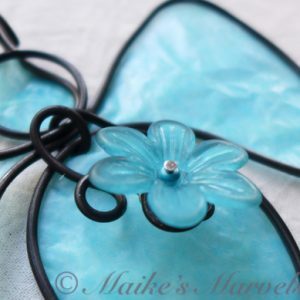 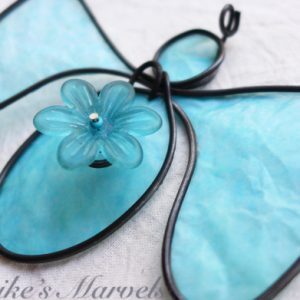 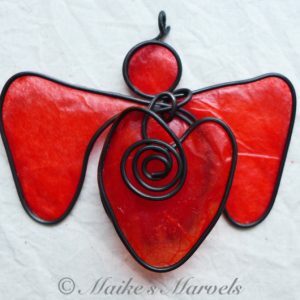 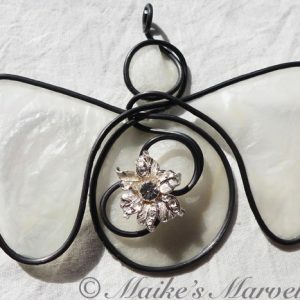 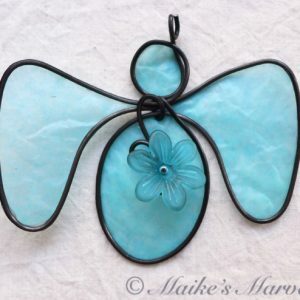 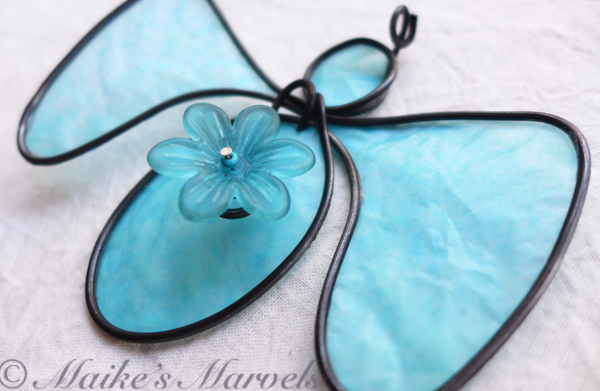 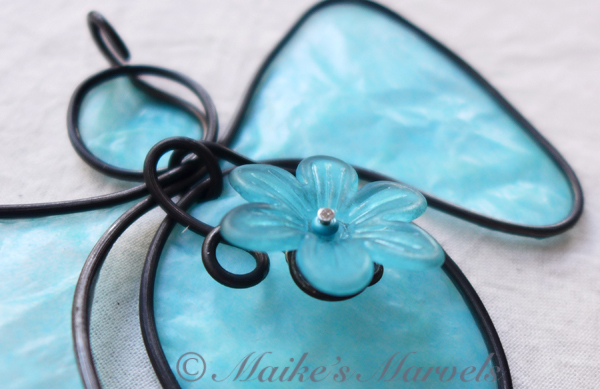 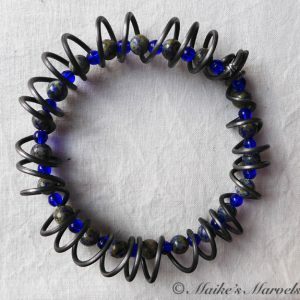 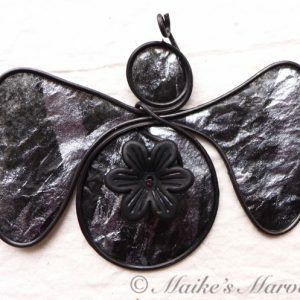 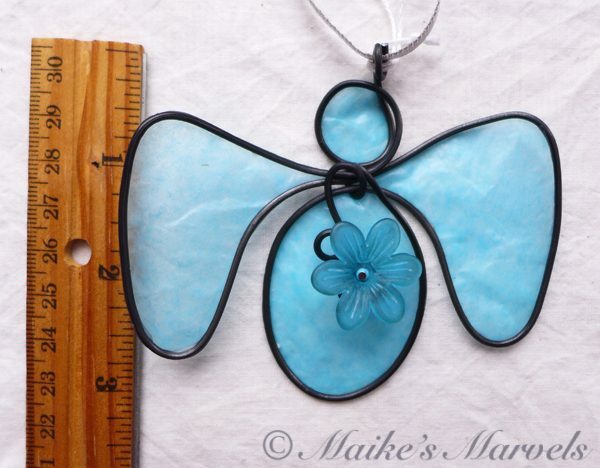 I wrapped 16-gauge steel wire into the angel shape along with a swirl to attach the lightblue flower to. 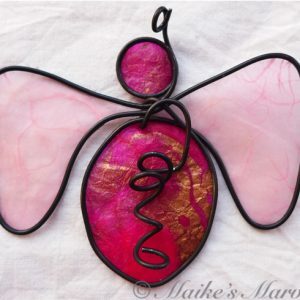 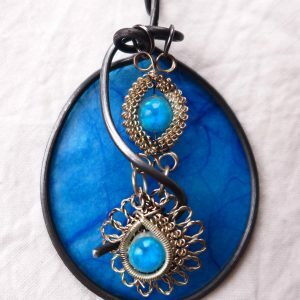 Â Then I dipped the blue tissue paper in a beeswax and resin mixture and adhered it to the steel wire. 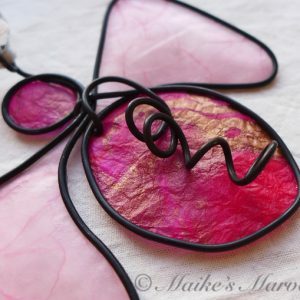 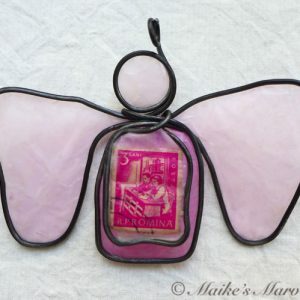 This angel comes with a white satin ribbonÂ for hanging. 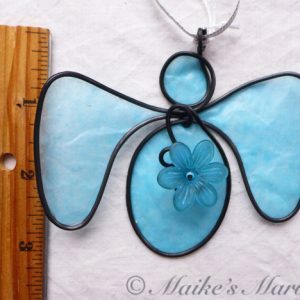 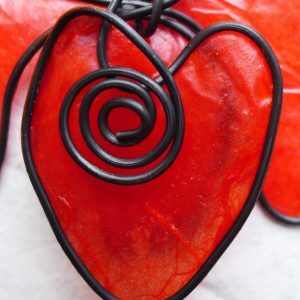 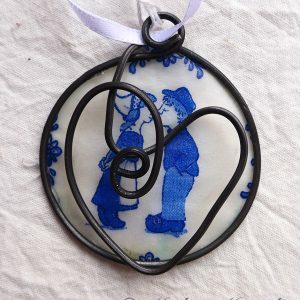 It measures 3 1/4 inches tallÂ by 3 3/4 inches wide and 1/2 inch deep.